Police and crisis advisers often tell woman not to holler "Help!" when being attacked, since it doesn't always elicit the desired response. They coach instead to yell "Fire! ", since that brings people running to help. 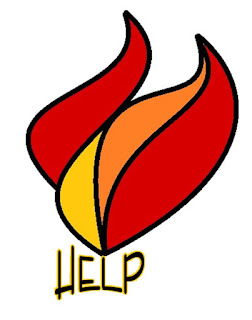 Survivors in crisis often reach the point where they have screamed both "Help!" and "Fire!" so many times that not only does no one respond, many times the screams aren't even acknowledged at all or recognized as screams any longer. So many times that the Survivor may not even have the strength, will, or voice left to scream anymore. This occurs because trauma, pain, crisis, and healing often takes far longer than support can last. It can linger well after the emergency response teams have finished their jobs, packed up, and left the scene. But even when whispered softly from darker corners, if we pay attention, we can see the signs of the enduring distress if we take the time to try. It may live in a downcast look or a hesitant touch. It could hide in a subject deflection or an avoided conversation. It might harbor in a slowness to laugh or an insincere smile. It could appear in a change of appearance or lack of participation. It might lash in a quick emotion or inappropriate response. It could cascade in a single tear or quiet sigh. it might just come with the realization that the person you once knew is not who you see when you look at them anymore. Sometimes people have survived too much for too long that the ability to ask for help or seek understanding is no longer left in them, much less actually managing to find the breath enough to scream for it. If you really love someone, if your desire to support is sincere, don't offer help or understanding, actually give it. Really think on that statement for a moment. It may seem very simple, but offers of help and understanding are easily given, however actually following through on them is infinitely harder on the offerer and much more important to the survivor then we could ever realize.